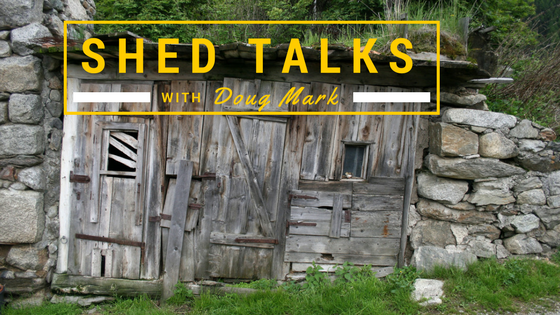 Coming in July we will be rolling out a new video series called Shed Talks. Why Shed Talks? Mostly because I’ll be doing a series of talks shot from the glory that is my shed. Shed talks will cover conversations about training, online training, Learning Management Systems, business practices and consulting. In addition to business based topics there’s going to be guest star experts from all types of industries be it travel and leisure, sports, franchising, social media & marketing, technology, sales, entertainment, medical, legal and whatever else we come up with. It’s a little toasty in the shed this summer so we are picking some choice times to shoot but we will carry on and make it happen. In the meantime, here’s a list of the top 5 Reasons to tune into the channel. 1. We will be covering online training best practices, training tips, technologies we love, free business consulting, sales tips and a bevy of others. 2. These videos are going to be written, shot, edited and directed by me, President of LearningZen and I know nothing about video. Seriously, this will be fun to watch because part of what we are doing here is illustrating how easy it is to record your own videos for training purposes. If I can do this anyone can. 3. I’m guessing the B Roll footage will be better than the actual footage we use. I’ll have a camera rolling to capture all my screw ups, stumbles, stutters F-bombs and inner conversations. My guess is what goes on in my head will become evident, very quickly. This terrifies me. 4. You’ll laugh, you may cry but you’ll definitely get real world tips and tricks that you can apply to almost any business in the world. 5. I’m kind of an introvert so this will be me at my least comfortable. Who doesn’t like to watch a nice train wreck?